One of the most common concerns for any business owner is ‘how to gain customers’. But for a company looking to achieve faster growth or even get a foothold in unfamiliar markets, this concern is likely to be remodelled as ‘how to generate leads’. But what is a lead? What is a lead? For sales and marketing professionals a lead is someone who has shown interest in purchasing a business’ products or services, and has provided contact details for follow up. In short, a lead is a potential customer or client, be they an individual or a company. The way you best find quality leads will depend on who your customers are. Define your audience – who are they? Where are they based? What are they looking for? The answers to these questions will help you target your approach. Sources for prospecting for sales leads might include getting in touch with your social media followers, asking for referrals from current clients, running advertorials in the press, running an advert on TV or radio, networking at industry events and exhibitions, getting in touch with people you know who are likely to be interested, using a lead generation marketing company and more. For more on finding leads as a small business, click here. Attracting attention to your company is one thing, but obtaining potential customers’ information as a result is another challenge. How do you get customers interested in your product or service to the extent where they’re willing to share their details with you? Offer free samples or trials of your offering. Have people fill out an enquiry form (more on those below) to obtain these, and ask them to leave a review after they’ve tried it. Customers who leave good reviews may well be strong prospects. Offer a free consultation. If you provide a service, offer to sit down with potential clients for free to discuss their needs. While this takes time out of your – or your sales team’s – day, it can be beneficial as only strong leads are likely to take time out of theirs to meet with you. Alternatively, you could offer to do this over the phone. Advertise special offers and discounts. Have customers provide you with their details in exchange for discount codes and exclusive offers delivered to their email inbox. Add a registration page to your website. Offer incentives such as regular free reports, news and special offers in exchange for email registration. Engage a specialist to collate customer information for you. Be careful to ensure that it’s a reputable company and that it only provides you with prospects who have shown a genuine interest. Not all leads are created equal – some convert to sales while others simply disappear. Stronger prospects tend to have the financial means to make a purchase, a genuine need or desire for what you offer, and an interest in learning more about it. 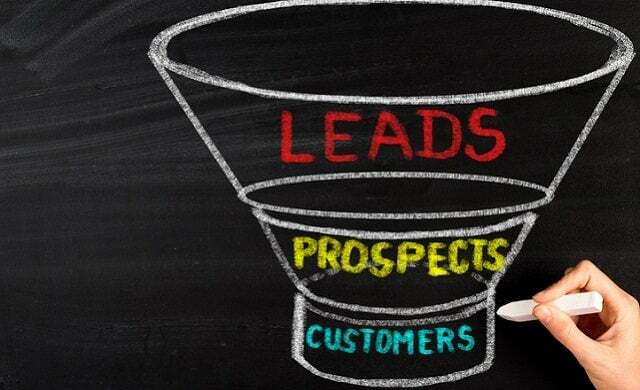 There are several ways you can find out if your leads are good prospects. We have talked a lot about obtaining customers’ details – but which details do you need? Ensure your enquiry forms are bringing in information your sales team will find useful in determining which leads have potential. First and foremost, ask for contact details, a job title and the company the person is enquiring from, if any. The job title will hint whether or not the individual has the authority to make the purchase for their company, while a little research on the company should show whether or not they appear to have the financial means for it. Asking how many employees the company has may give an even clearer idea. You can then go on to ask why they are interested in your offering, whether they have bought from your business before, and more. Call the contact and talk to them about their enquiry. What would they like to know about your product or service? How much have they historically spent on offerings like yours? With this information, you can send the lead the right information for their requirements. If your contact is from a company, ensure you are talking to the person who would ultimately make the decision of whether or not to purchase. Ultimately, allowing your sales team to focus on their sales skills will likely be a better use of their resource – enabling them to spend more time selling and less time prospecting. So what are the other options for sourcing leads? When thinking how to get marketing leads, the process can be resource-heavy. There are a number of lead generation marketing companies who can find leads for business owners. These can vary from a list of potentially relevant prospects based on your target criteria all the way to details of fully engaged, qualified leads for sales teams. Have these people and businesses requested sales discussions? Have the contact contact details been verified? Is there integration into your sales or CRM software and process? Is there a long term contract or can you pay-per-lead? Is the lead generation scalable? MVF’s technology and teams create, optimise, and distribute content and ads under one of their trusted digital brand. Details are check to make sure contact information and customer requirements are valid. Leads are passed to your sales team, either via API to your sales, telephone or CRM system, through the MVF client portal, or via email. Your sales team contacts prospects to discuss their needs, inform, inspire and convert. MVF delivers 8.4m leads each year from 2.5bn impressions across 120 countries, with 300+ staff in UK and USA. If you want to find out more about lead buying, call MVF on 0203 595 2965.